Here’s some news that should mollify those moms who are wringing their hands over how risqué the new The Muppets show is: Variety reports that professional adorable people Joseph Gordon-Levitt and Dave Grohl will guest star in an upcoming episode. Gordon-Levitt will perform a duet (which we hope won’t be a lip sync) with Miss Piggy and play poker (which we hope won’t be of the stripping kind) with Scooter and Pepe, and Grohl will challenge Animal to a contest of the most flailing arms in a drum-off. 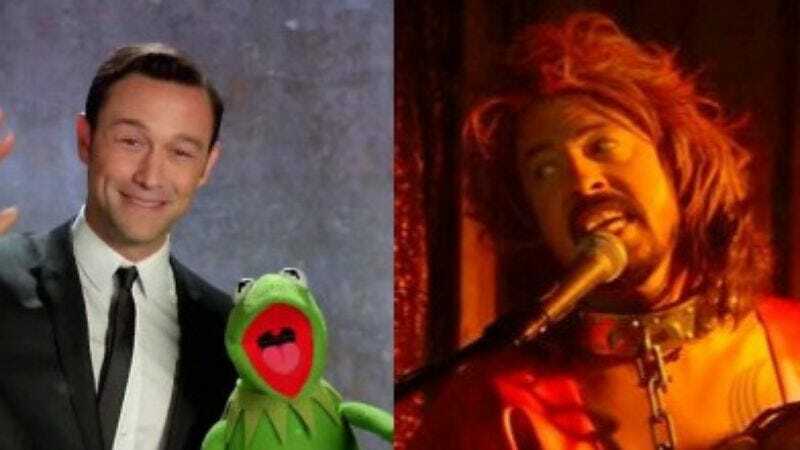 Gordon-Levitt and Grohl are old pals of the Muppets gang—Grohl appeared in 2011’s The Muppets as Animool in the Muppets knock-off band, The Moopets, and Gordon-Levitt previously joined the Muppets for a Very Gaga Thanksgiving. The episode, “Going, Going, Gonzo,” will air on December 1.